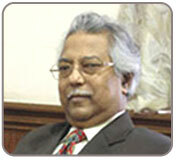 He is the founder of Dr. Sarkar Allen Group of Companies. 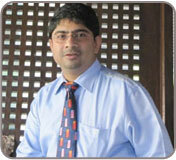 He is a Researcher and Formulator of Ayurvedic & Homoeopathic medicines. He is serving the mankind through developing and manufacturing medicines since 1969. He has been awarded as1st Gereration Entrepreneur by the Bharat Chamber of Commerce in 1998-1999. Dr. G. P. Sarkar is the President of Ayurvedic Drug manufacturers’ Association of India & Vice-President of Federation of Homoeopathic Manufacturers’ of India (FOHMI). He took his chieftain from his predecessor, Dr. G. P. Sarkar in 1993. He joined the board in 1993 as Director and took the stewerdship as Managing Director in 1996. A Science graduate with a keen interest in science and an instinctive receptor of technological advancements, who took the challenge of the Company's paradigm shift. From 'growth out of FMCG products' to a broad-based 'prescription generated market share with latest molecules', the change in the Company's manufacturing and marketing policy under his stewardship, yielded result in the last five years' financial statements. His association with other companies includes Allen Industries Limited as Managing Director and Director of Allen Laboratories Ltd., Allen BioPharma Ltd., Quality Allen Pharma Pvt. Ltd., Allen Housing & Finance Ltd. & Pollen Allen Institute Pvt. 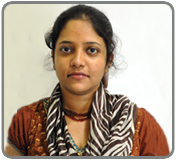 Ltd.
She holds a B.A.M.S degree in Ayurvedic System of Medicine under the University of Calcutta and a practicing physician. She also holds a Post Graduate Diploma in Hospital and Health Management. After graduation, she worked as a Junior House Physician in the Department of Medicine and Emergency Department in the J. B. Roy State Ayurvedic Medical College and Hospital. Her association with other companies includes Allen Laboratories Ltd. and Allen Industries Limited as Director.